As Andrew Morton makes clear in his new book, Meghan: A Hollywood Princess, the woman who is about to marry into the world’s most famous family business is not your typical applicant. She may have grown up “worshipping” Princess Diana – a nostalgic detail that the author drops in the book’s opening chapter. But in the revealing portrait that follows, the newest member of Team Windsor is mostly notable for how she differs from royal brides past. “In many ways,” Morton writes , “Meghan is the woman who Diana strived to be,” by which the English journalist means confident and immensely capable, with drive and ambition that long predate her status as the most googled woman of 2017. In an interview following the royal engagement announcement last fall, Prince Harry whimsically noted how the “stars [had] aligned” in bringing the couple together. After reading Morton’s book, it feels reasonable to wonder whether Meghan Markle may have reached up past the heavens and aligned those suckers herself. Certainly her path has always been purpose-driven, and in that sense totally different from that of her future fiancé. 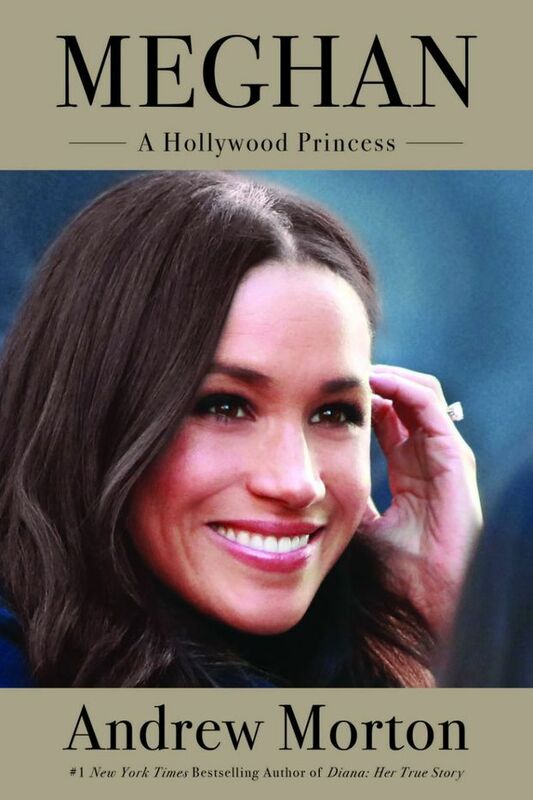 Another recently released bio, Harry: Life, Love, and Loss, describes how the Prince spent his pre-Meghan years bouncing aimlessly from failed romance to drunken PR disaster and back again, whereas in Hollywood Princess, Markle comes across as a woman who left aimlessness behind when she aged out of nappies. While Morton became famous for getting Princess Diana to spill first-hand accounts of royal life in secretly recorded sessions, the author gets no such co-operation from his subject this time around. Instead, his ability to provide a comprehensive account of Markle’s early years comes down to being in the right place (Pasadena, Calif., where she grew up, and where Morton now lives for half the year with his American wife) at the right time (late 2016, when news of the royal romance first broke). Casual chats turned to more formal interviews with those who knew the royal bride “back when.” And pretty soon a picture emerged – one of an uncommonly focused self-starter who was tackling social-justice issues while most girls her age were picking their favourite Backstreet Boy. Tweenage Markle organized a protest against the Gulf War and launched a campaign against the sexism in a Procter & Gamble dish soap ad, enlisting the support of more prominent feminists such as Gloria Allred and then-first lady Hillary Clinton. A few years later, she was volunteering with homeless people at a shelter called the Hippie Kitchen, and graduating with awards for “intellectual, artistic and charitable work.” (She was also homecoming queen). Still, a good heart can only get you so far, and Morton makes it clear that from early on, Markle’s social conscience was matched by her social ambition (or just ambition, as it’s known in the male world). Every goal she sets gets her complete focus, just as every achievement and new relationship becomes a stepping stone to the next opportunity. While she was clearly devoted to her acting career (slugging away for eight years before finally landing her big break on Suits), one gets the sense that for Markle, playing other people was never as desirable as playing herself. Leveraging her success as a TV star, she launched her lifestyle brand, the Tig, and a clothing line with Reitmans. And with the raised public profile came the chance to do the important “soul feeding” work with organizations such as the UN and World Vision Canada. Had the stars aligned differently, it’s possible we would now be talking about Markle as the next Angelina Jolie or Gwyneth Paltrow or possibly both. In an anecdote from her starving artist period (where Markle worked as a calligraphist and a hostess to make ends meet), she scores an audition for a bit part in an Ashton Kutcher movie, but when she gets in front of the casting director, she explains that she has read the script and thinks she would be perfect for a bigger role. Now that she’s taken on her biggest-ever role , the knives come out and there is certainly the suggestion that Markle is a self-serving opportunist (Machiavelli in a messy bun). Morton describes her as “a networker to her fingertips,” which is either a compliment or a dis depending on how you read it. And amidst the fawning remembrances, we hear from a few ex-pals (and one pointedly axe-grinding sibling) who say Markle’s fixation on her own ever-brightening prospects could make her cold and occasionally “ruthless” in relationships. There is one story about how after dumping her ex-husband (a Hollywood producer who proved useless in terms of career prospects), she returned his rings via registered mail, and a former ex-sorority sister said Markle could at times be “too aggressive” in her role as recruitment officer – whatever that means. Obviously included to bring dramatic tension to an otherwise scandal-free portrait, these wicked whispers don’t amount to much, and ultimately say more about the way we view ambitious women than they do about Markle herself. Morton doesn’t address this issue explicitly, but it is his book’s unwritten and totally fitting theme: Given his subject’s lifelong passion for feminism, how perfect that a book about her forces the consideration of outdated gender stereotypes. Readers seeking insider details on the current state of the royal romance will be disappointed. There is not much on that subject that we don’t already know from the daily headlines, save one perfectly telling tidbit about how Markle took tea lessons in California to prepare for her first meeting with the Queen. Whether this reads as charming or calculated is left to interpretation. Regardless, it makes her smart, as Her Majesty is known to be a stickler about such things. Given all the hoopla around Markle as “the people’s princess,” the new Diana, one unexpected takeaway from Morton’s book is that she may have just as much in common with her future granny: A woman who is as shrewd and calculating as they come, and has never felt the need to apologize.